It is an orally active histamine analogue. 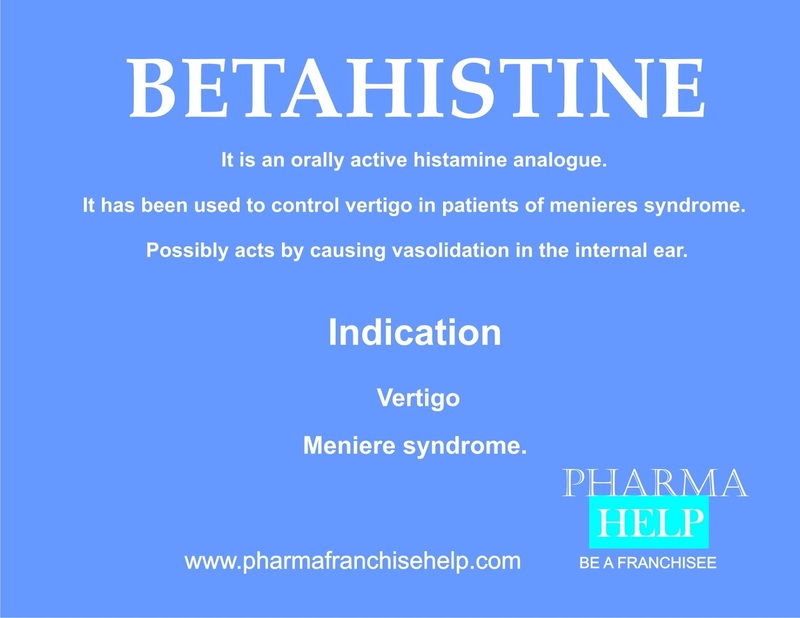 It has been used to control vertigo in patients of menieres syndrome. Possibly acts by causing vasolidation in the internal ear.